Hippies and Bolsheviks in Montreal. 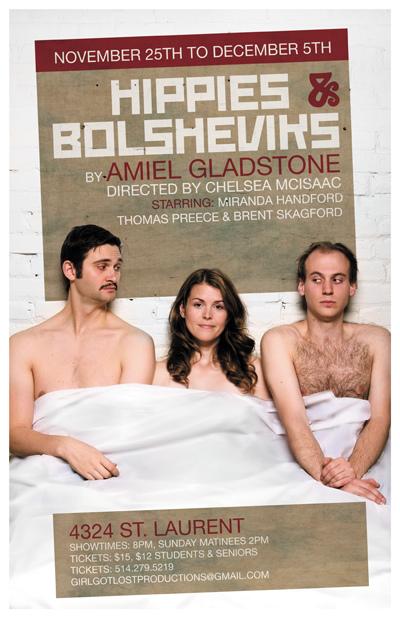 Hippies and Bolsheviks is currently playing in Montreal. I’m really proud that this is the sixth production. Reviews here and here. Running until December 5 now 12th. Call 514 279 5219 or email girlgotlostproductions@gmail.com for details. Next Next post: 3 Seats in a Row closing tomorrow.